Heat oil in kadai, add sesame seeds, onion seeds and mix well. 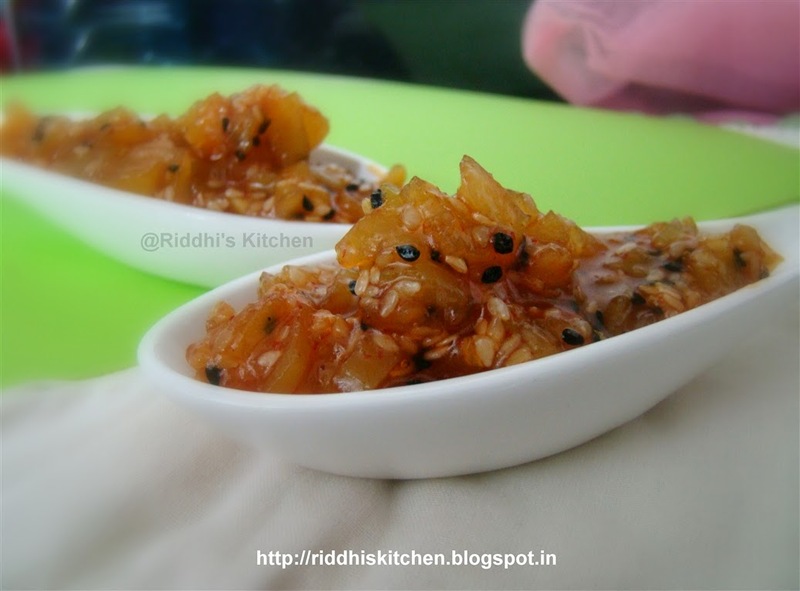 Add raw mangoes, salt, kala namak, sugar and mix well. Add water and cook for 4 to 5 minutes or till sugar melt and become like chasani. Add roasted cumin powder and cook for 30 seconds. Tip: you can store 8 to 10 days in refrigerator.